The first contract concerns the construction of sections over 1200 tons of steel equipped with pipe fitting and locksmith components as well as electrical routing with delivery deadline in the first half of 2019. 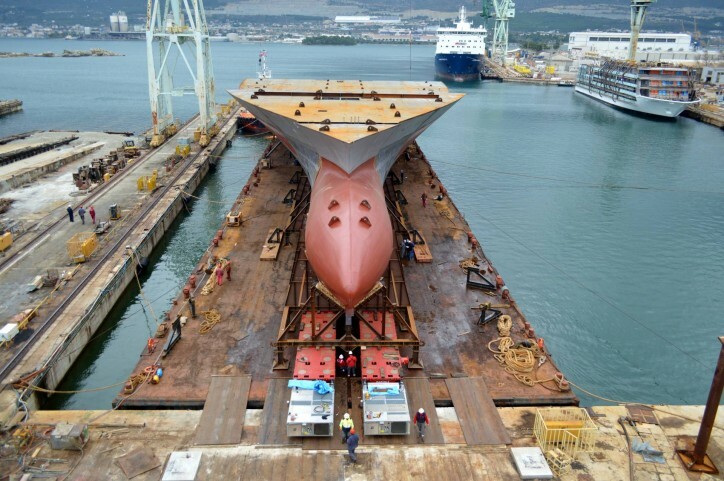 This includes front part of the hull which will be loaded on a barge and towed to the Italian shipyard where it will be mounted on the ship. With the second contract, Brodosplit has been awarded a project for building the central section of the ship whose overall length is over 100 meters and weight over 3000 tons of steel, with delivery deadline in the second half of 2019. 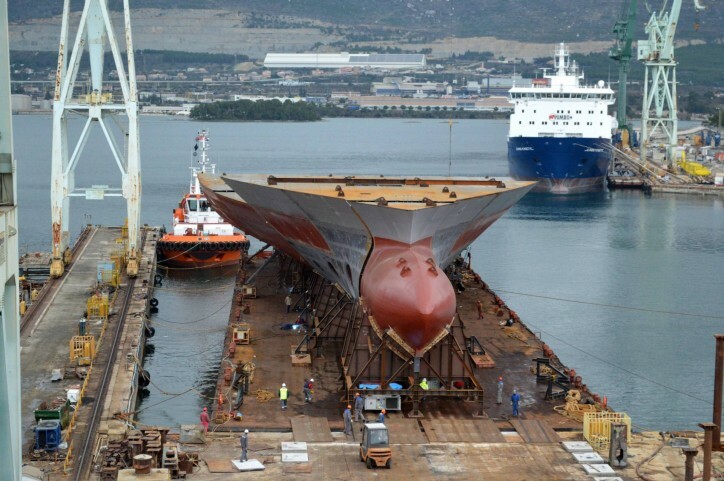 The construction will be watertight on both sides and self-towed to the Italian shipyard. On the basis of the above-mentioned as well as other contracts which are in preparation, Brodosplit will generate more than 5 million Euros monthly income, which will bring profit of around 500 million Kunas a year in the period from 2019 - 2025. 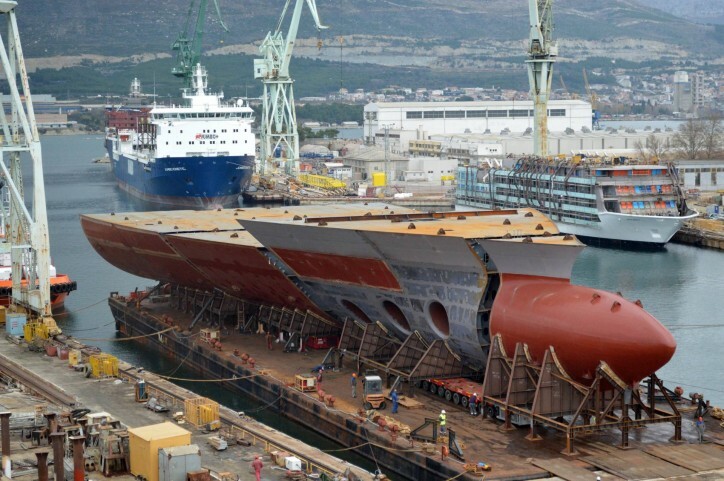 The agreement on long-term business and technical cooperation until 2025 is the result of a successful cooperation between Brodosplit and one of the largest shipbuilding groups in the world, the Fincantieri Group, which dates back to 2014, during which Brodosplit has built and delivered fitted sections (grand blocks) for the three mega cruisers which are being built in their shipyards. During this cooperation and with mutual satisfaction, both groups proved to be stable and reliable partner, therefore the signing of the long-term agreement was logical. The level of mutual trust between the Fincantieri and Brodosplit groups has been brought to such a level that we are already linking our software systems in order to make our collaboration faster and more efficient. In accordance with the agreed plans, engagement of a certain part of the Brodosplit workers for temporary work in the shipyard owned by the Fincantieri group is under preparation, and it will include performing special finishing works for the luxurious cruise ships.